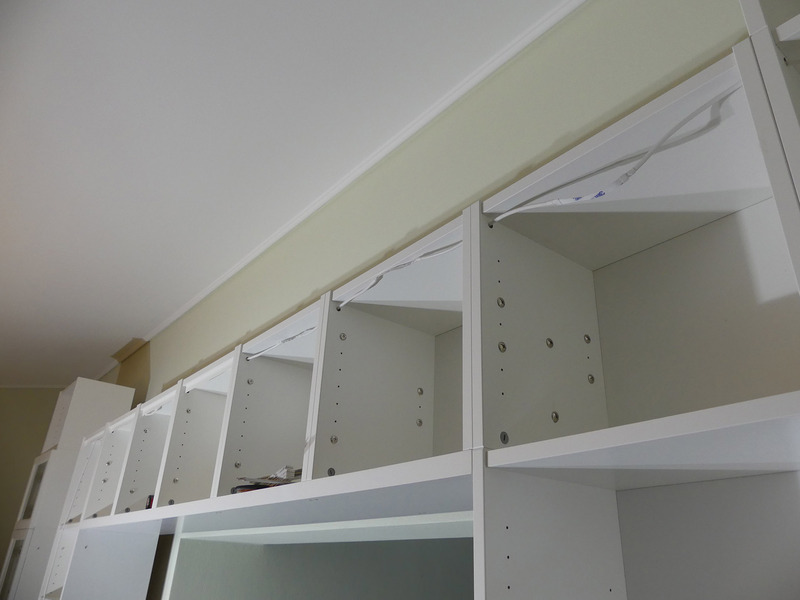 After the self-supporting billy extensions got their bottom plate and the 202 cm high Billy bookcases on the right and left side were moved back the touchdown was a breeze. 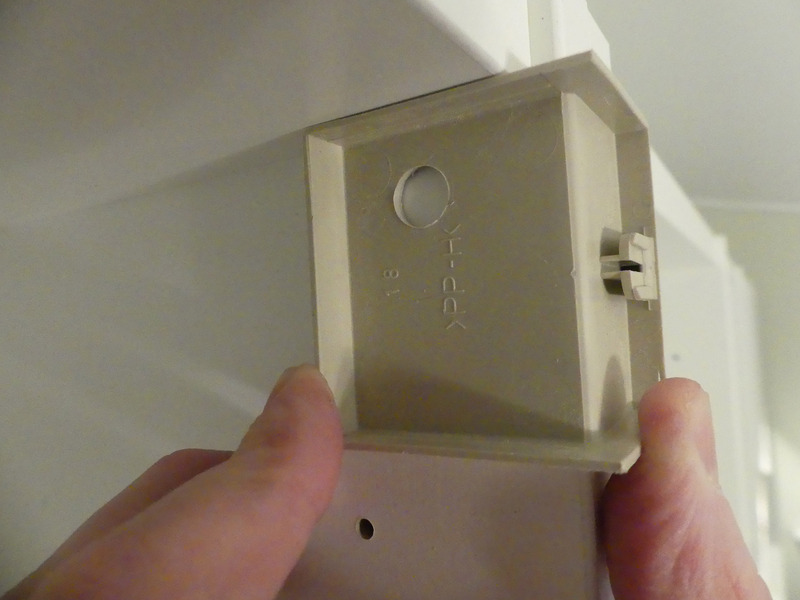 The two outer Billy extensions rested securely in the provided furniture locks so that they could locked. Thereafter the Billy extensions are still screwed with furniture connectors. In addition metal angles are applied to increase stability. Nevertheless the construction is then anything but tilt stable especially because a wall mounting in this construction phase is not yet available. Before another row of the Billy extensions was put in place the first row was prepared for the intended lighting as this is easier at this time than in a later stage of construction. 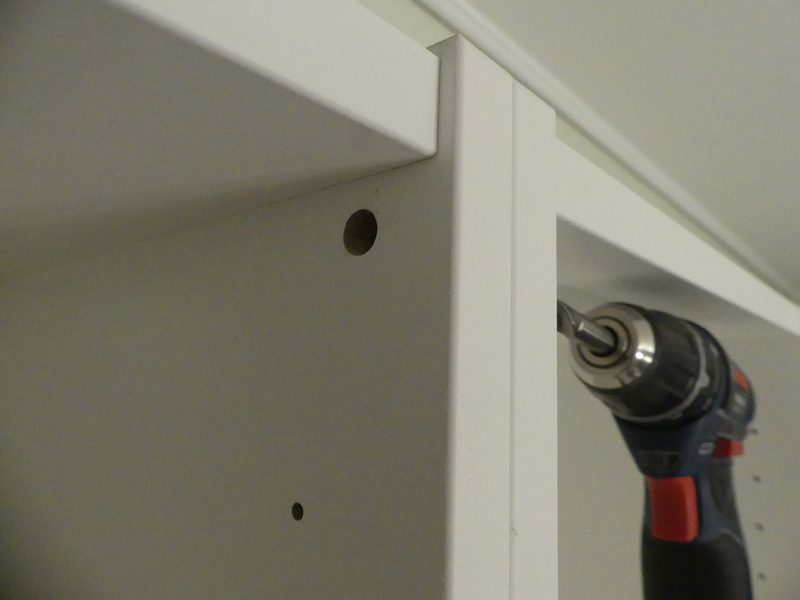 From two older Ikea plastic covers (of my knowledge of a PAX wardrobe) two drill templates were initially made so that the holes are defined and always sit in the same places. 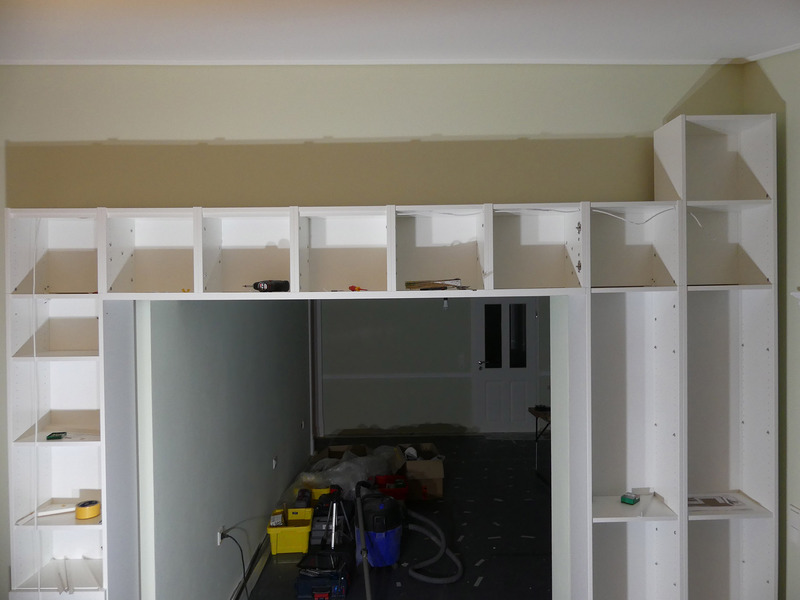 The stencils are then applied and the drilled hole is marked slightly with the drill, then drilled to the joint of the two bookcase side walls – in no case pierce immediately with a wood drill because then the chips on the other side would blow out of the chipboard unattractively. 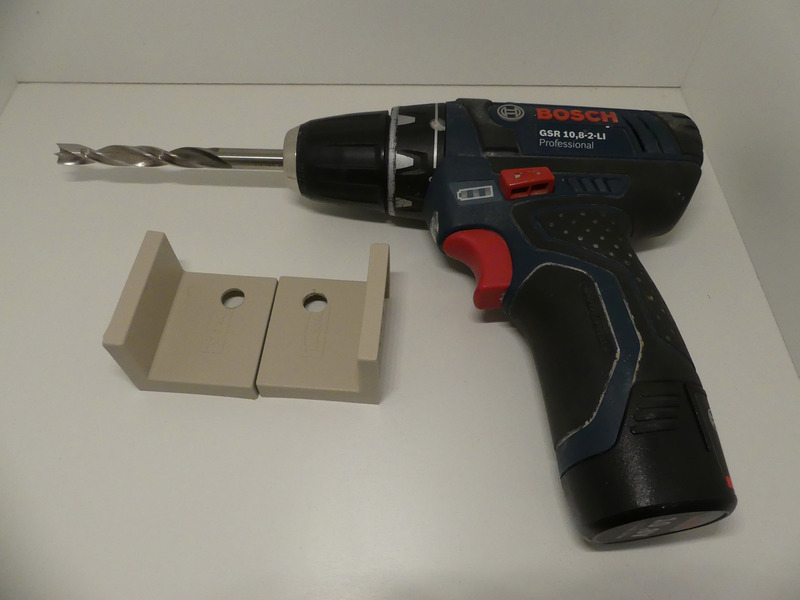 The template is applied from both sides (therefore two templates) so the drill holes meet in the middle. The result is also in the chipboard clean holes. The dimension of the hole was chosen so that a 8mm LED strip fits through (9mm hole). 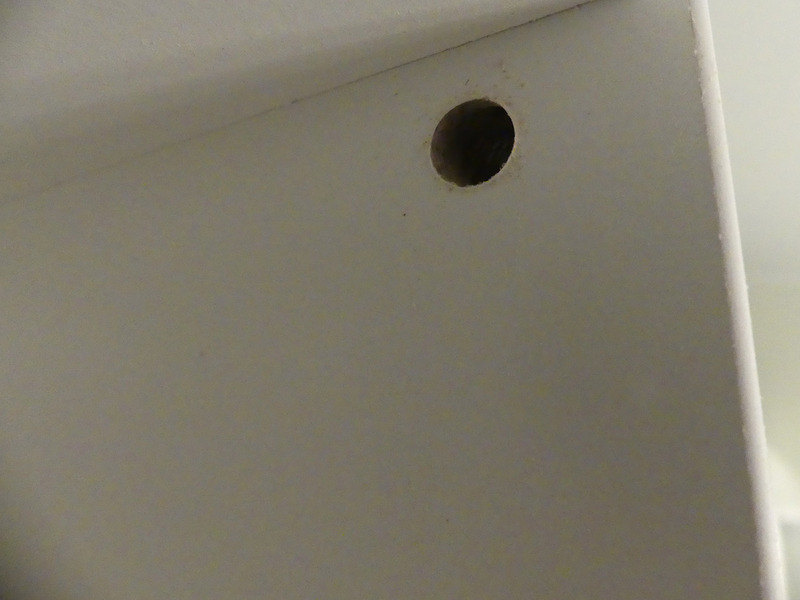 The holes were drilled like that one after the other.